After nearly 18 years of service, Central Arizona will be saying goodbye to one of its longest term employees, Ruth Shoffner. Ruth began her involvement in tennis as many people do, by playing the game. Her extraordinary commitment to Central Arizona came after that, as she became a certified official. Ruth officiated many tournaments, ranging from junior to professional, including some matches in the US Open. Ruth also served as the Head of Officials for Central Arizona for many years and continued officiating into her 70s. She started working for the USTA of Central Arizona in 1992, when it was still known as the Phoenix District Tennis Association. Over the years, she took on many roles for the district office, from running the Super Set and Satellite tournaments to publishing the yearly calendar of events. She also served as the interim office manager several times when called upon throughout the years. Ruth has truly been the face and voice of Central Arizona. 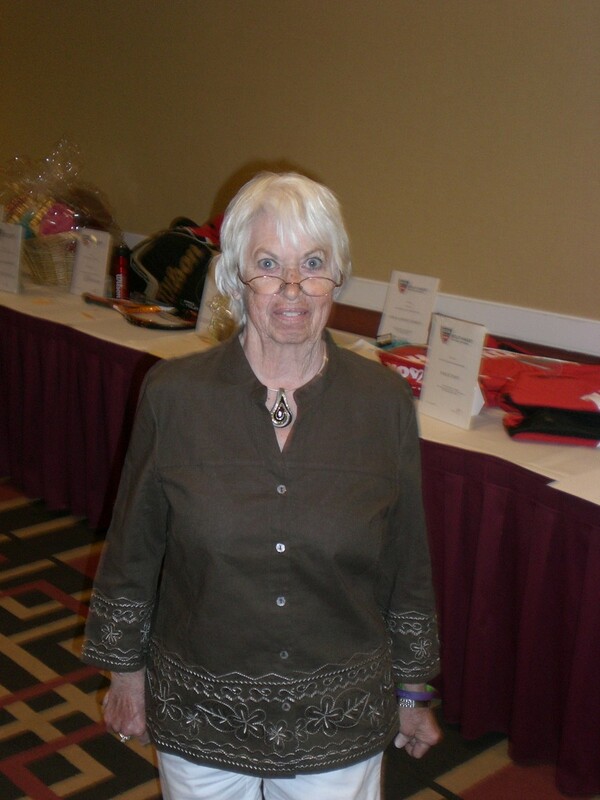 Ruth’s volunteer hours have also been countless, as she has assisted in seventeen Winter National tournaments, chaired multiple committees, and sat at the desk of numerous junior satellite tournaments over the years. Even after her retirement, Ruth will continue volunteering and offering her invaluable advice by sitting on the Junior Council. Ruth was inducted into the Central Arizona Inaugural Hall of Fame Class in 2005. She has also received many other awards from Central Arizona, including Volunteer of the Year. Central Arizona wishes to thank her for her years of dedication and commitment. She will be dearly missed and is truly irreplaceable.